Plastic molds are important industrial products in order to shape and mold plastic before it results to a more viable and feasible product in the market. It commonly undergoes injection molding in various forms but the most popular technique is forcing a plastic liquid into a metal mold. The molding is made through the use of molten plastic that cools while it is inside the mold. Plastic molds are used in order to lessen down the costs related to various manufacturing processes. This technology is favored because of the quick turnaround time in the procedure. A variation known as reaction injection molding is also used for fiberglass, epoxy and polymer plastic. Here are ideas on the services, processes and equipment design employed in the manufacture of these products. Plastic molding services result from rotational molding, blow molding, thermoforming and compression molding. Other services include mold prototyping, insert molding, micro-molding, two- shot injection molding, machining and hot stamping. These services have characteristics that make them distinct from one another. 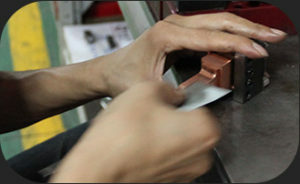 For instance, machining is that phase where the molds are removed through drilling, milling or turning. Micro-molding is known to use special and mini molding machines in order to produce small parts out of the process. The parts produced out of these services are commonly less than two grams in weight. In a two- shot injection, a plastic product is produced from two sets of raw materials through the use of only one operation. Plastic molds cannot be completed without undergoing some processes. First on the list is the development of a three-dimensional or 3D CAD model. The making of a computer model is that point when a manufacturer may ask a consumer for concepts and prototypes to see if they are good enough for the production of plastics. Machines for injection molding, blow molding and thermoplastic injection are a few examples of plastic mold factory equipment designs. The basic outputs from these machines include insulated runners as well as CAM, encapsulating, stack and insert molds. This important aspect in manufacturing plastic molds is the fabrication of machineries to create the output. Barrels, liners, component and feeders are also created out of the equipment design. Along the process, special forms of equipment for different plastic mold services are formed. Reaching the right and reputed plastic mold factory is important where you will gt complete solutions for this process that is a popular manufacturing option – responsible for many car parts, containers, signs and other high volume items. There are a number of added features and benefits associated with it that will surely persuade you to reach the right factory that is involved in offering you complete and comprehensive solutions.